Happy Birthday to people born in June! 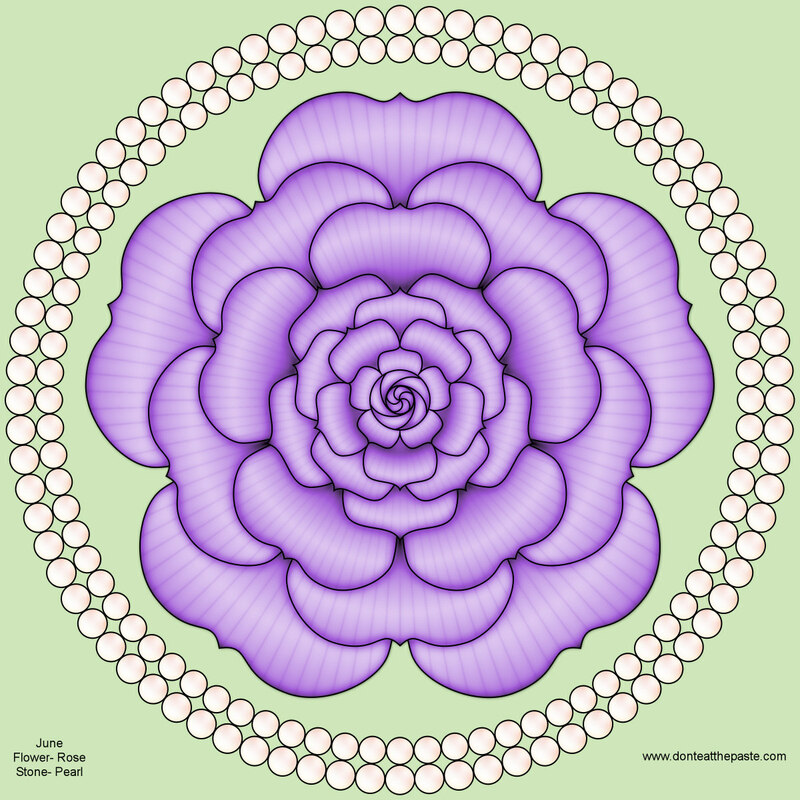 The birthstone for June is pearls, and the flower is the rose. I think it's safe to say that most people, even if their birthday is not in June would be happy with pearls and roses! 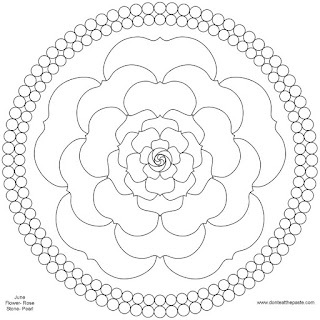 June is the only month with a birthstone that isn't actually a stone, and there are a lot of kinds of roses. It was a hard choice what kind of rose to draw, but I'm pretty happy with this one. 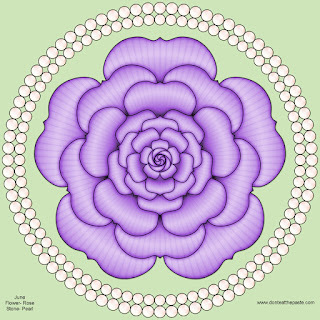 It was June which inspired the birthstone and flower series of mandalas after I drew this one last year. 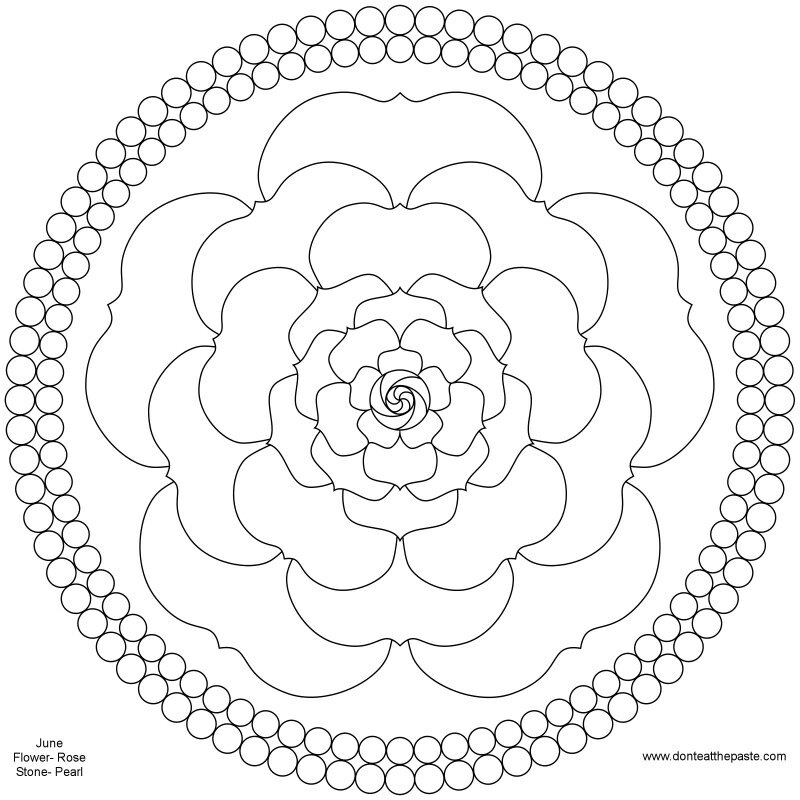 Click the images for larger versions of the mandala to print and color. Beautiful design! I know I'll be using this one on a card, done in different colors to fit the recipient. Thanks, Shala!